2-3 Hours before eating: Combine berries, lemon juice, and sugar in a bowl and let sit for at least one hour. After 1-2 hours, strain the berries and keep the liquid. Smash or puree the berries, depending on how chunky you like them. Making the ice cream: Add berry juice, milk, cream, and vanilla to the freezer bowl that comes with your ice cream maker. Turn on the machine and let it work its magic for 15-25 minutes, depending on your machine. Add the pureed berries and mix until combined. This will give you a soft, creamy ice cream. 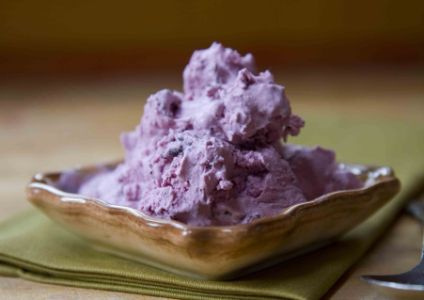 If you prefer hard ice cream, put it in the freezer for 1-2 hours. Sit down, eat slowly and enjoy every spoonful while patting yourself on the back for feeding your family wholesome goodness. And then visit Significantly Simple to read about Simple Solutions for a Significant Impact!